John O’Donovan in his letters stated ‘there is a holy well near the old church called Tobair Leadhain at which a “pattern” was held on Garland Sunday (Domhnach na b-fear or Chroim Duibh) in honour of St. Laan, the patron of the parish’ (O’Flanagan 1927, Vol 1, 606). Garland Sunday or Fraughan Sunday is the last Sunday in July. This is traditionally a day of veneration at Holy Wells. Garland Sunday originated as an important pagan festival of the harvest known as Lughnasa. Maura Mac Neill in her seminal work on the subject, The Festival of Lughnasa refers briefly to the celebrations at Tobar Laan (1983, 39, 625). It seems evident this holy well formed a part in some pre-Christian celebration at Killaan. Perhaps the well is the oldest surviving element on the site. Many early-Christian ecclesiastical sites had a pagan origin. Early Christian missioners were keen to convert these sites to the new religion. However, they rarely managed to completely destroy the rituals associated with the older faith. As late as the 1930s it was still remembered that an annual gathering or patron day took place at Killaan. In its original form it is likely to have included a fair of sorts, games, music and drinking intermixed with the practice of popular religious devotion at the well. 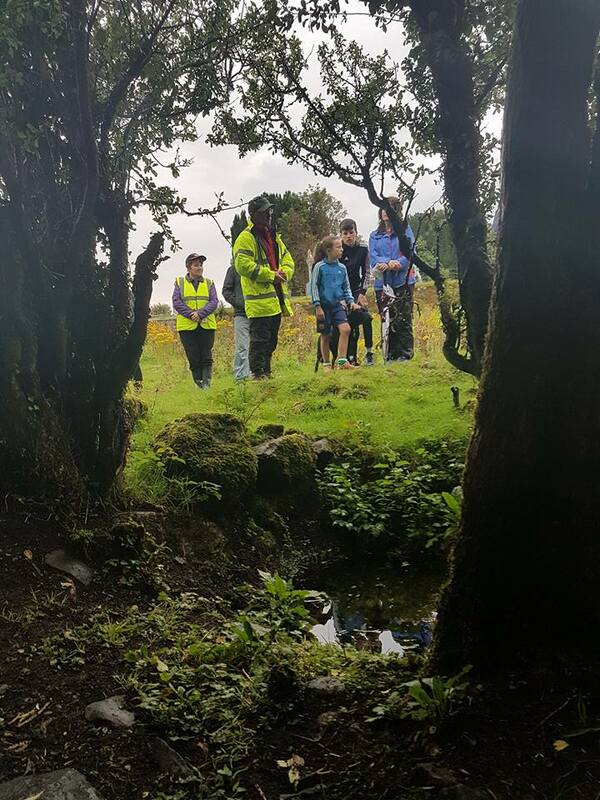 A short entry recorded in the School Folklore Collection from Woodlawn School supports this… ‘there is the remains of a holy well near Killaan graveyard. Every year in the month of July people came here to do Stations. Always at the Stations the people began to argue so on account of that there was a stop put to them’. This appears to be a subtle reference to the banning of the annual pattern by the Church. Many patterns were forbidden due to the levels of alcohol consumed, the faction fights that ensued and general immoral behaviour that took place at them.